The plastic industry in India has come a long way in the past few years. It has taken come huge strides to become an important part of the Indian economy. It has managed to increase its base to a size that it is today one of the leading sectors of the Indian economy. The good news is that the industry has still a long way to go before it reaches its pinnacle, and hence one can hope for the industry to keep growing in the coming years as well. Plastic news about this industry keeps coming out with information about the latest developments happening in this segment, like development of new technology for the manufacturing of plastic or use of advanced machinery, etc. which show that the growth in this industry has been happening in not just the right direction but also in the right manner. If we calculate the value added by this industry to the Indian economy, we will realize that the plastic industry contributes to about 0.5% of the total GDP of India. In the department of exports as well, plastic industry contributes to about 1% of the total exports from India. The plastic industry in India is basically a small scale industry, as about 50% of the plastic manufacturing units in the country are set up as small scale industries. More than Rs 100 billion is invested in this industry in the form of fixed capital. Hence, the importance of this industry can be clearly seen from the above figures. Besides, all these figures are expected to grow in the near future, except the percentage of small scale industries in this segment as more large scale firms are expected to enter this industry in the future. Based on the reports published in various plastic news forums, it is obvious that the exports from India of plastic have increased significantly in the past few years. 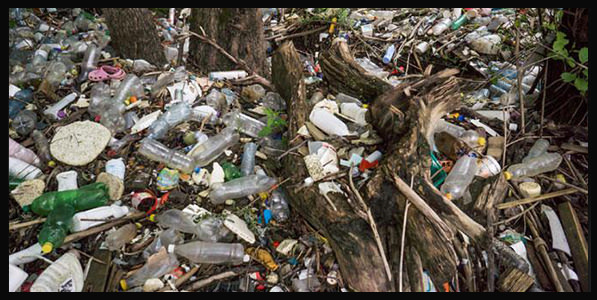 In the year 2006 India’s contribution to the world’s plastic export was only $3.187 billion as against the total world export of plastic which stood at $375 billion. Thus, India was contributing only 1% of the total exports. However, since then the exports from India have grown at the rate of 21%. But the important thing to note here is that although there is an increase in the total exports of plastic but there is a decreased from 45% to 9% in the export of processed plastic goods. The increase in exports comes mainly due to an increase in the export of plastic raw materials, which increased to 60% from 55%. There is no doubt about the fact that the plastic industry would continue to grow in the future, however, with the increase in global demand, competition in the global market will increase as well. Therefore, it is important that the Indian plastic manufacturers are prepared to face this increase competition from the world. For this support of the government will be essential. If both the manufacturers and the government come together, India can surely become the world leader in plastic exports.